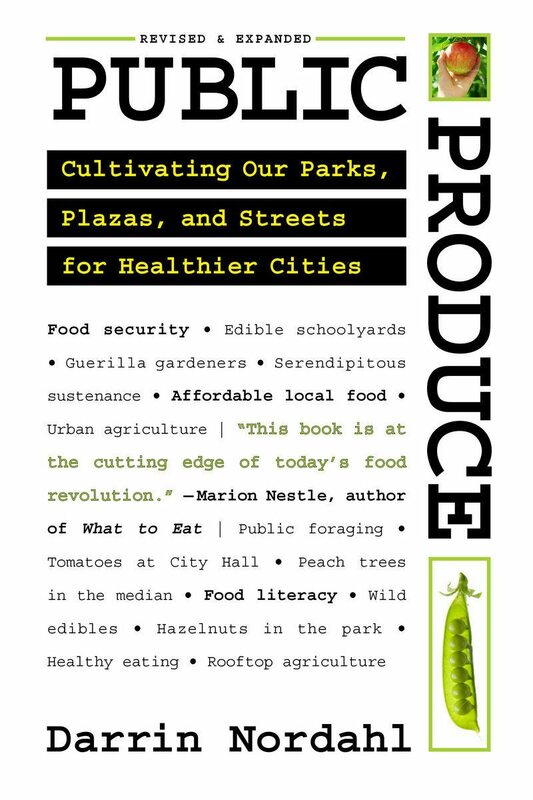 A review of Public Produce: Cultivating our Parks, Plazas, and Streets for Healthier Cities, by Darrin Nordahl. 2014. Island Press, Washington. ISBN: 9781610915496. 224 pages. When Darrin Nordahl first published Public Produce: the New Urban Agriculture in 2009, most urban agriculture took place in community gardens, backyard gardens, and urban farms. Since then, local municipalities have developed numerous new programs for growing food in public places. In his updated Public Produce: Cultivating our Parks, Plazas, and Streets for Healthier Cities, Nordahl highlights some of these more recent stories of agriculture in cities. Nordahl begins writing along the same line as many other books on this subject: the first two chapters summarize statistics on food insecurity and our unsustainable, illness-inducing food system and contain obligatory references to the work of Michael Pollan. Public Produce stands out from the rest, however, in its focused plea for municipalities to consider planting edible crops at city halls, public parks, streets, and plazas. 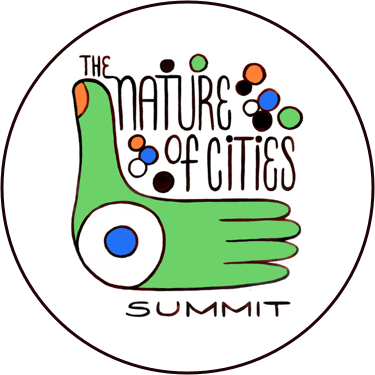 Geared towards decision-makers at the municipal level rather than urban agriculture practitioners, Public Produce is a call to action for rethinking landscaping and public space in an effort to solve larger issues of hunger and sustainability. The most valuable sections of Nordahl’s book are the plentiful examples of successful municipally-driven urban agriculture and the various suggestions for maintenance of such efforts. Fruit orchards in public parks in Calgary, for example, offer lessons learned in picking the right varieties for the climate. The planner who planted vegetables outside of City Hall in Provo, Utah, may have inspired passersby to eat more vegetables. The story of an arborist in Davenport, Iowa—who planted publicly accessible fruit trees because, well, it was his job to plant and maintain public trees anyway—suggests that municipalities may already have the capacity to grow pick-your-own edibles. One thing quickly becomes clear: Nordahl believes city government is a more effective provider of urban produce for the general public than community gardeners and urban farmers—themselves members of the general public—can ever hope to be. Nordahl makes an inconsistent case against grassroots community gardening, in some places acknowledging its important historic, present, and future role in urban food systems, and in others arguing just the opposite. Nordahl’s ambiguity stems from his disagreement with the misconception that community gardening will feed cities and that municipally-driven edibles in public places can feed cities. In Chapter 3, he recounts the moment in New York City history when Mayor Rudy Giuliani tried to auction most of the city’s community gardens to private housing developers. Nordahl uses this story to argue that community gardens are too easily barricaded and bulldozed to serve as sites for growing publicly accessible produce. He might just as easily have made the case that municipal governments need to invest in preserving and protecting gardens as obvious locations for growing free and local food. Instead, he threw the baby out with the bathwater—or, in this case, the crops out with the compost. Nordahl believes suburban parks, parking lots, downtown plazas, streets, flood plains, and utility and transport easements are all better, more stable sites for growing food than a community garden. For this idea to work, municipalities will need to plant and cultivate enough edible crops that anyone can casually harvest, completely for free, as they walk by. I would argue that this type of public produce has far less of a chance of actually building community than do community gardens, and also doesn’t necessarily ingrain food as part of the urban landscape. As Nordahl notes in Chapter 3, Calgary city officials learned that “orchards that are planted in parks without an associative community group don’t thrive like those planted in parks where there is already a large contingent of community gardeners”. A better approach might involve supporting existing gardening groups by providing more space nearby and more resources to plant orchards. With urban agriculture in the hands of city officials and not the community, who’s to say a new administration wouldn’t prefer a return to ornamental plants at some point in the future, such as the example Nordahl describes from the garden at City Hall in Baltimore? Nordahl emphasizes the potential for alleviating hunger by growing food in cities. Yet none of his examples prove this point. 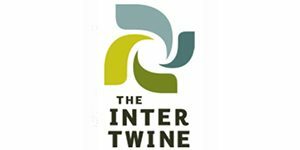 Only City Fruit in Seattle, a group that coordinates and distributes fruit harvests from residents’ backyards, comes close. Yet City Fruit succeeds because of strong community organizing—not because of municipal programming. Once again, a municipality finds real success growing and distributing food in public spaces when a community group takes on the task. The Beacon Food Forest, also in Seattle, has potential due to its sheer size (seven acres), but at the time this book was published, the project had not yet been completed. Two other examples of successful public produce recounted in the book actually have nothing to do with alleviating hunger. They are, however, viable examples of using publicly grown food to create revenue that can flow back into municipal coffers. In Chicago, apiaries on City Hall provide honey that is sold at the Chicago Cultural Center, the proceeds of which fund the Department of Community Affairs. At UC Davis in California, the University transformed campus olive trees from a nuisance to a source of revenue by producing locally-made olive oil, which funds the UC Davis Olive Center. This could be a great way to convince governments to take on planting edible perennials—but isn’t the point of such programming to make food more freely accessible? How can residents ask for fruit trees in public places without the need for government to harvest the yields and sell them back in order to fund the orchard’s maintenance? These examples disprove the argument Nordahl makes throughout the book—that food grown out in public should be freely accessible to all. “What if community gardens were to make money?” Nordahl ponders, before discussing Detroit’s growing number of urban farms. Community gardeners are typically neighborhood residents working together to replace a vacant lot with green space, social areas, and/or edible plants. Urban farms, on the other hand, are typically managed by organizations that might grow food for a community, but aren’t usually as inclusive in their decision-making processes as a community garden. There is a grey area between the two, and many urban farms—especially in Detroit—consider themselves to be community farms in which the crops are grown and harvested by the community, often with a social justice and antiracism mission. Nevertheless, calling on community gardens to become urban farms that sell products changes the model of urban agriculture from one that freely provides food and community green spaces to a model that is profit-driven and/or mission-driven and often less focused on self-determination. Other examples, including converting the ornamental landscape in front of city hall in Provo, Utah to a vegetable garden, were more symbolic than substantive in their impact. While the tiny garden in Provo yielded a surprising 1,200 pounds of produce over the course of a season, the yield was hardly enough to support the needs of hungry residents. Nordahl does admit this inadequacy in Chapter 4, where he explains that public produce can’t provide enough food to feed everybody all the time, but elsewhere he speculates that public produce will help ensure no one will ever go hungry. Which argument does he truly believe? Nordahl’s case against community gardens as vehicles for alleviating hunger is especially troubling given that the cases he includes in the book suggest otherwise. He assumes that if you are too poor to buy food, you are also too poor to buy lumber, soil, trowels, seeds, and whatever else it takes to start a garden—so city officials should do the gardening for you. Yet on the ground, people with few resources start vibrant community gardens all the time; sometimes, these groups get a little extra help from agencies in supportive municipalities, but just as often they flourish with no external help whatsoever. One of Nordah’s main critiques of community gardens is that the food they produce is often fenced off and unavailable to the general public—but what’s not mentioned in the book is that community gardeners are often growing produce as a survival strategy. In many cities on the East Coast and Midwest, neighbors build community gardens as a response to urban disinvestment and the blight of vacant lots. Gardeners aim to beautify the neighborhood, create safer blocks, and grow healthy food where healthy food is unaffordable or hard to come by. Gardeners in these cases are not wealthy people with time and money to spare, as Nordahl suggests. And because these gardeners might be relying on that relatively small amount of produce to keep food on the table, it’s no surprise they might not want to give it all away for free (although, amazingly, many do). In addition, there are plenty of examples of community gardens that garden communally and give anyone permission to take produce, not to mention the scores of community gardens that have both individual and communal plots. Community gardens will never grow enough food to feed an entire city. Neither will parks, plazas, or other public green spaces. Yet every little bit helps. Why not support both? Nordahl should include more examples of partnerships between municipalities and communities to grow food, as he does with City Fruit. Seattle’s Parks Department provides funding to the non-profit for their community steward program, which takes care of fruit trees in public parks. Gilman Gardens is almost a good second example: a community garden in a street median in Seattle. This garden lacked a water supply, and Nordahl makes a great case for cities to easily support gardening initiatives by simply providing water. If they can’t do that, however, Nordahl suggests moving the production to landscaping that is already irrigated. It is unclear in this example if he thinks the community will uproot and follow their garden to this new area or if municipal maintenance workers will take over growing the crops. Either way, this strategy would not really help the community and their food-growing efforts. That Nordahl doesn’t seem to trust community-based urban agriculture efforts as much as he trusts municipally-sponsored initiatives detracts from the effectiveness of his call to action. Municipal support of community-based efforts could help urban agriculture grow and become a more widely adopted and secure land use. Public Produce is valuable for its detailed examples of urban agriculture that go beyond the familiar community garden, backyard garden, and urban farm, and provides numerous ideas for municipalities ready to take a more active approach to urban agriculture. These approaches do not have to be mutually exclusive, however, and Nordahl’s book would have been more productive had he embraced a diversity of possible tactics for cities aiming to feed themselves. 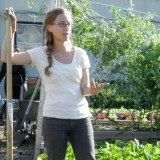 Mara Gittleman is the Farm Education Manager at KCC Urban Farm in Brooklyn NY, the Vice President of the NYC Community Garden Coalition and founded and co-directs Farming Concrete, which helps urban gardeners and farmers measure the good things happening in their gardens and farms.